1. Gage, N. L. (1989). The paradigm wars and their aftermath. Educational Researcher, 18(7), 4-10. 2. Guba, E. G., & Lincoln, Y. S. (2005). Paradigmatic controversies, contradictions, and emerging confluences. In N. K. Denzin & Y. S. Lincoln (Eds.). The Sage handbook of qualitative research (3rd ed., pp. 191-215). Thousand Oaks, CA: Sage Publications. 4. Lather, P. (2006). Paradigm proliferation as a good thing to think with: Teaching research in education as a wild profusion. International Journal of Qualitative Studies in Education, 19(1), 35-57. 5. Denzin, N. K. (2008). The new paradigm dialogs and qualitative inquiry. International Journal of Qualitative Studies in Education, 21 (4), 315-325.
o What is a paradigm? A paradigm is a philosophical or theoretical framework that is based on scientific research, and on which the theories, methodology, and methods that we follow are based. o What are the major paradigms of inquiry in the social sciences? How would you describe/define them? First, because human affairs, including teaching and learning, are inextricably involved with the intentions, goals, and purposes that give them meaning. Second, a science is involved with direct one-way causal links, but there are no such "billiard-ball" causal connections between teacher behavior and student learning. Third, scientific methods can be applied only to natural phenomena that are stable and uniform across time, space, and context in a way obviously untrue of the human world of teaching and learning. their responses to the same or similar situations. The critical theorists emphasized the importance of power in society and the function of schools in defining social reality. They stressed the ways in which education served the interests of the dominant social class, which in our society has consisted of the rich, the White, and the male, as against the poor, the non-White, and the female. But, the critical theorists asserted, human beings can change the social structure, and they need not be dominated by it. Educational research ought at least to be aware of the possibility of such struggles. Better, it ought to enter into them on the side of the oppressed so as to reconstruct education and the society at large for the achievement of greater social justice. The critical theorists implied that what is needed is a reconsideration of the whole structure of society in which education, including teaching, goes on. Logical positivism (also called logical empiricism and neo-positivism) is a school of philosophy that combines empiricism – the idea that observational evidence is indispensable for knowledge of the world – with a version of rationalism incorporating mathematical and logico-linguistic constructs and deductions in epistemology. post-positivism: Postpositivists believe that human knowledge is based not on unchallengeable, rock-solid foundations, but rather upon human conjectures. As human knowledge is thus unavoidably conjectural, the assertion of these conjectures is warranted, or more specifically, justified by a set of warrants, which can be modified or withdrawn in the light of further investigation. However, postpositivism is not a form of relativism, and generally retains the idea of objective truth. o What are the controversies, contradictions, and emerging confluences related to paradigms? Researchers realized that there was no necessary antagonism between the objectivists, the interpretivists, and the critical theorists. Those who said that the quantitative and qualitative perspectives must of necessity be mutually exclusive and antagonistic--were simply wrong. New realizations among scholars that paradigm differences do not require paradigm conflict. The two kinds of researchers were simply studying different important topics. The implication of necessary antagonism or incompatibility was unjustified. resulting in improvements of teaching. So the social sciences need not be based on any assumptions of uniformity in nature. approach to research on teaching. It was anthropology, in large part, that spawned the interpretive-qualitative approach. It was mainly the work of analysts from economics, political science, and sociology that produced critical theory. What had seemed to be merely intellectual disagreement also turned out, as experience accumulated, to be turf wars in the attempt to gain for one's own discipline a greater share of the research funds, the academic positions, and the other kinds of wherewithal needed for a discipline to flourish. What ended the interdisciplinary war: the realization that, if the social sciences did not get together, they would perish. They recognized that the moral and rational foundations of the three paradigms were virtually identical, dedicated to the same ideals of social justice and democracy and the goals of an education that would serve those ideals. So they paid more attention to effectiveness in achieving those ideals. PS: Answers mainly based on Gage, N. L. (1989). o Which paradigm(s) best fits your perspective? Why? The three combined! In order to reach the best, most accurate, fairest, and most beneficial results. Crotty, M. (1998). 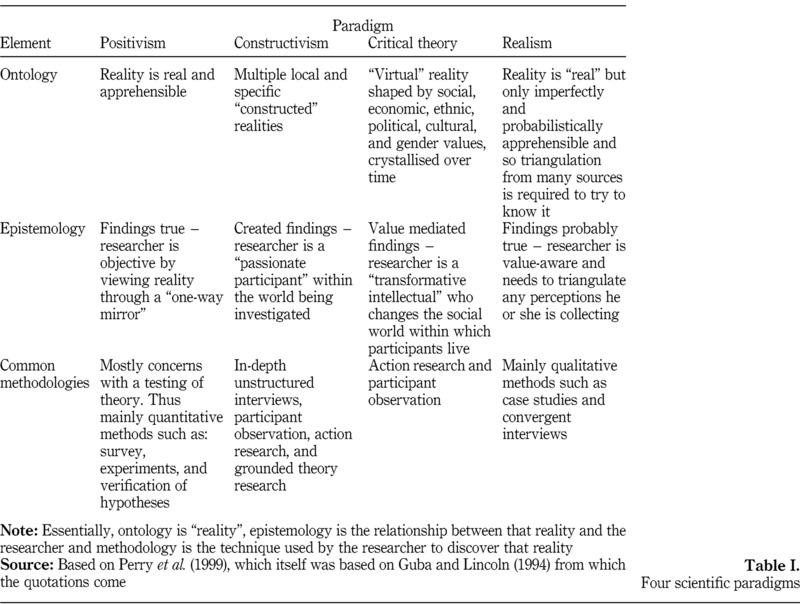 Foundations of social science research: Meaning and perspective in the research process. Thousand Oaks, CA: Sage. What are some salient points highlighted from previous Handbooks? How does Floden describe research on teaching over the past 35 years (from the time the 4th edition of the HRT was published)? What are the "effects on teaching"? What are its characteristics? 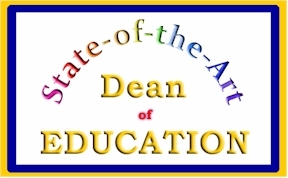 What is the “effects on teaching paradigm” (p. 7)? Floden takes a conservative stance, claiming that the core of research on teaching remains as it was 35 years ago: a scientific search for general, causal links between teaching and student learning. He acknowledges some methodological developments and topic shifts but his basic message is that nothing fundamental has changed, or should change, about the purpose of research on teaching since it was first named as a field with the publication of the first Handbook, edited by N.L. Gage, in 1963. What is the main point made in this chapter? Substantiate with specific quotes. What has influenced the field of education research? How is Hamilton's and McWilliams's argument similar and/or different from Floden's? In a nutshell, what is this chapter about (summarize) ? What is the role of theory in conducting research? How does theory relate to paradigms? What theories are you familiar with? How is a theoretical framework different from a conceptual framework? What is (or was) positivism? What are the different types of positivism? What are the similarities and differences of the different types of positivism? Which aspects of positivism died, and from what causes? What are the influences of positivism/postpositivism in educational research? What is the "regulative ideal" (Phillips & Barbules, 2000, p. 3) and is it necessary in educational research? How do you know a research study is credible? What criteria should you consider for examining the quality of research? What are the similarities and differences of research criteria outlined by these authors? What are the major elements of a research article? What criteria might you use for evaluating a research article in which the researcher applies mixed methods? What criteria might you use for evaluating a qualitative research article? What criteria might you use for evaluating a quantitative research article? Bereiter, C. (1994). Constructivism, Socioculturalism, and Popper's World 3. Educational Researcher, 23(7), 21-23. *Phillips, D.C. (1995). The good, the bad and the ugly: The many faces of constructivism. Educational Researcher, 24(7), 5-12. Schwandt, T. A. (1994). Constructivist, interpretivist approaches to human inquiry. In N. K. Denzin & Y. S. Lincoln (Eds. ), Handbook of qualitative research (pp. 118-137). Thousand Oaks, CA: Sage. "Where is the mind" (Bereiter, p. 22) in constructivism? What is Popper's World 1, 2, and 3 (Bereiter, p. 22-23)? What does Phillips mean when he refers to the "many faces of constructivism"? According to Phllips, what is "the good, the bad, and the ugly" of constructivism? What is "verstehen" (Schwandt, p. 119) and its relation to constructivism, according to Schwandt? How does Schwandt view/define "interpretivism"? How do Bereiter, Phillips, and Schwandt define and view "constructivism"? What are the similarities and/or differences between their definitions and perspectives? What are the basic tenets of Vygotskian cultural-historical psychology? How does Vygotsky define thinking? What do Vygotsky's theories offer for researchers? Why is Vygotsky's work associated with constructivism? What are some of Moll's suggestions for educational research in the Vygotskian tradition? Freeman, M., deMarrais, K., Preissle, J., Roulston, K., & St. Pierre, E. A. (2007). Standards of evidence in qualitative research: An incitement to discourse. Educational Researcher, 36(25), 25-32. Jardine, D. W. (2006). On hermeneutics: "Over and above our wanting and doing." In K. Tobin & J. Kincheloe (Eds.). Doing educational research: A handbook (pp. 269-288). Rotterdam, The Netherlands: Sense Publishers. How/why does hermeneutics have a "special affinity to education" (p. 269)? How/why does hermeneutics fit under the paradigmatic umbrella of constructivism/interpretivism? Why is the first question in hermeneutics "What is your topic?" Explain how hermeneutics is a "critique" of the natural sciences. "What kind of truth is proffered from a hermeneutic study?" "Being experienced' does not consist in the fact that someone already knows everything and knows better than anyone else. Rather, the experienced person proves to be, on the contrary, someone who... because of the many experiences he has had and the knowledge he has drawn from them, is particularly well-equipped to have new experiences and to learn from them" (Gadamer, 1989, p. 355). According to Noddings, what does it mean to care? What is the nature of caring? How is teaching and caring relational? What tensions exists between caring and the professionalization of teachers? What strategies or conditions foster an "ethic of care"? What are the shifting conceptions of culture in anthropology, sociology, and research on teaching? What is the important of the theories described in this chapter (e.g., "Cultural Difference Theory," p. 210)? How have ethnic, feminist, and postmodern views challenged researchers' conceptions of culture? What are the challenges associated with these views? What is the impact of these views on methodology? What is CHAT (Cultural-Historical Activity Theory) (p. 226)? Describe the history of narrative inquiry (descriptions) of school practice. What is the "language of practice?" What is Gudmundsdottir's notion of "voice" (p. 235)? In the ... comparison of positivism and postpositivism, there are only two differences between these two paradigms. the theory, poor sampling, and so on—and therefore do not always mean your core theory is wrong. The other difference between these two paradigms is the relationship of theory to data. Positivism proposes that theory be derived from research observations. This “raw empiricism” assumes that you can collect objective data that are theory free and then use them to develop a theory. The data are “unpolluted” by theory. Postpositivists reject this assumption and accept that any collection of data is based on theory. Data and the interpretation of data are thus theory dependent. Postpositivists can develop a theory in any way they want; theory need not be based on data. However, they test their theories by doing scientific research. Attrition – the loss of participants from treatment and control groups over the duration of the experiment. External validity - the generalisability of the outcomes of the experiment to other settings. History effects – 'interference' either from external influences or maturation effects occurring 'internally' as a result of the passage of time, such as individual ageing. Instrumentation effects – intervening variables that occur when treatment effects are measured using different instruments, or under different conditions for one group to the other group. 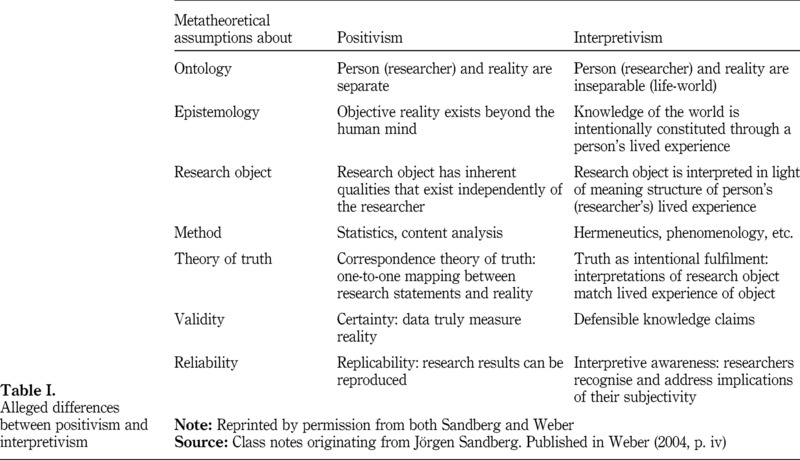 Positivism – the underlying ontological and epistemological basis of experimental techniques – the belief that ‘truth’ and ‘reality’ can only be established by empricial observation. Randomised control trial –a prospective experimental study in which the effects of one or more interventions are assessed by dividing a research population on the basis of random allocation into one or more experimental and one or more control groups. Selection effects – statistical bias resulting from the fact that the treatment group and control group, despite being randomly assigned, are in reality not statistically equivalent. Solomon Four-Group – an experimental design in which the participants in the treatment and control groups are assessed both before and after participating in the intervention. Kumashiro, K. (2000). Toward a theory of anti-oppressive education. Review of Educational Research, 70(1), 25-53. Kumashiro K. (2001). “Posts” perspectives on anti-oppressive education in Social Studies, English, Mathematics, and Science classrooms. Educational Researcher, 30(3), 3-12. What is teaching? What is good teaching? Why are these questions considered "postmodern" (p. 90)? How does Habermas explain human action and reason? How are Habermas's ideas aligned with critical theory? What are "public" and "private spaces" (p. 94)? What criticisms has Habermas received? What "resources" does Habermas provide "for thinking about teaching in and for a democracy?" (p. 97). What are the implications of Habermas's work for educational research(ers)? How does Hinchey define epistemology? Why is it important? How does she define positivist, constructivist, and critical theory epistemologies (paradigms)? What are the similarities and differences between constructivism and critical theory? What are the four types of ant-oppressive education? How does the contents of this article fit under the Critical Theory paradigm? Explain why/how. What are the implications of anti-oppressive education for educational research(ers)? According to Kumashiro, "What could it mean for educators within the 'core disciplines' to teach in anti-oppressive ways?" What is the "problem of partiality?" How does Kumashiro's views about education compare to those introduced in the HRT thus far? Why is this relevant to this course and the Critical Theory paradigm? What are the implications of the information in this article for educational research(ers)?